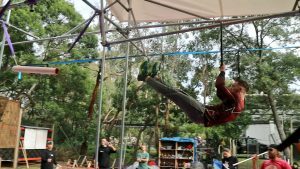 On a cold Sunday’s winter morning in June, aspiring ninjas from all over Victoria gathered at The Compound in Tuerong to tackle this month’s head to head ninja challenge. This particular ninja in training over-hydrated on the drive in and was quite pleased the toilet was close to parking. If you’ve never been there before, you’d be forgiven to think someone played a prank on you when giving the directions to The Compound. After what feels like kilometres of dirt roads eventually you come upon a black A-frame with the familiar barbed wire logo of The Compound and as you drive in, one of the resident dogs will no doubt bark at your car. 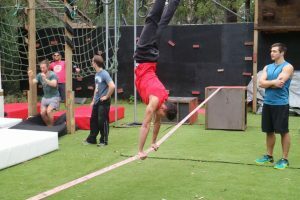 The Compound isn’t just known for Ninja Warrior, it actually originated with obstacle course racing and their 5km loop around the properties dam is one of the most enjoyable courses in the country that is open to the public every weekend. Now to get down to business. 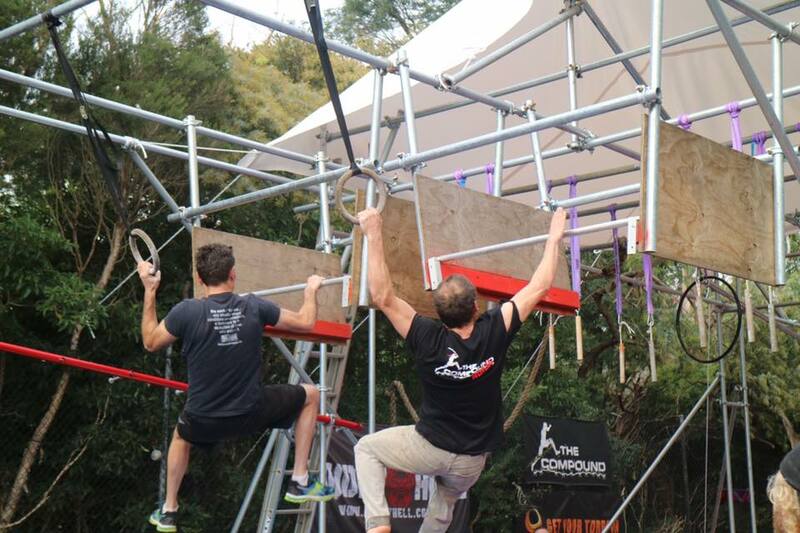 This month Clem in his infinite wisdom took inspiration from Team Ninja Warrior and set up an exciting side-by-side head to head competition for the ninjas to run (each month there’s also an OCR stage for those who feel the ninja level is too intimidating but still want to compete). The rules of this course were really simple; there will be two rounds, one to set your qualifying time, then another final. In qualifying you were allowed to fall off obstacles, but if you did would have to go back to a reset point and the clock kept running. In the finals, the floor was lava, any mistake and you were out. Cargo climb (down one side and under, then up the other to ring a bell). 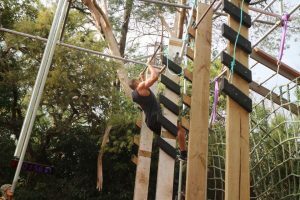 All of these obstacles are pretty achievable to anyone with a little bit of practice, but place them all together in a row and you’ve got a seriously tough course that only takes around a minute to finish. Before the qualifying round begins, all of the competitors get half an hour to get a feel for the obstacles (although today, it was more to get your hands to a useful temperature). I personally spent my time here practicing the salmon ladder and the slackline. 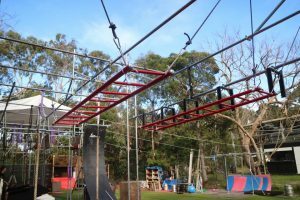 These two obstacles gave me the most trouble the week prior when I dropped in to practice the course which I never expected of the salmon ladder, but when you get to the second to last obstacle you are totally gassed and form goes out the window. After practice the qualifying round quickly started, Allyson Manley called out the first two competitors “Shaun Brien and Jaze Dubois”. That’s right, this here aspiring ninja just got called up to the first heat against one of the best ninjas in Victoria. “It’s just qualifying” I reassured myself, it’s all about setting a course time and not about winning. The run soon began and although I was slow to start, I got across the slackline on my first attempt, then the next few obstacles were no issue. Then I got to the pipe slider, I jumped up and slid down the pole but I didn’t commit enough on the dismount and got hung up. 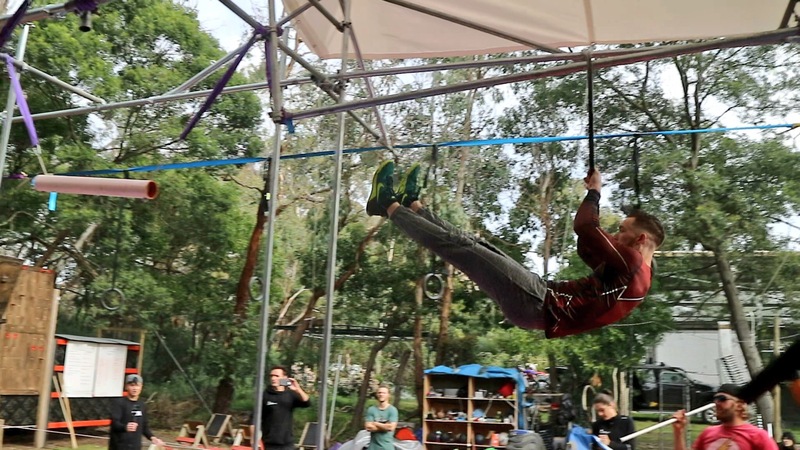 Luckily, because this was qualifying I was able to reset and nail it on my second attempt, then in a shock to everyone (especially myself) I made it up the 3 rungs of the salmon ladder and through the cargo net to ring the bell and set my time. I was incredibly stoked that the first time I completely finished this course was in competition. Once my heat was over I focused on getting as many photos and videos as I could of all the other competitors from as many angles as possible. This really isn’t easy when some of the competitors were finishing the course in close to 30 seconds. Soon after the heats ended, finals were announced based on everyone’s heat times. In this case I was in the 3rd heat and arguably had a far better run than in qualifying. I came undone on the salmon ladder though when I jumped up the first rung and my grip gave out. There were some incredibly exciting finals where the result came down to the last obstacle and the atmosphere was made even greater by the excitement of everyone else watching. After the finals ended Clem announced the top 5 finishers (the winner of which goes home with a brand new Compound t-shirt of their choice) and then it was time for ninja free play. To quote another one of the ninjas Jake Baker “This sport sees more progression in the hour after competition, than in the whole month that follows”. This held true as I watched (and filmed) the ninjas achieve one ridiculous feat after another (see the video at the end for a taster). 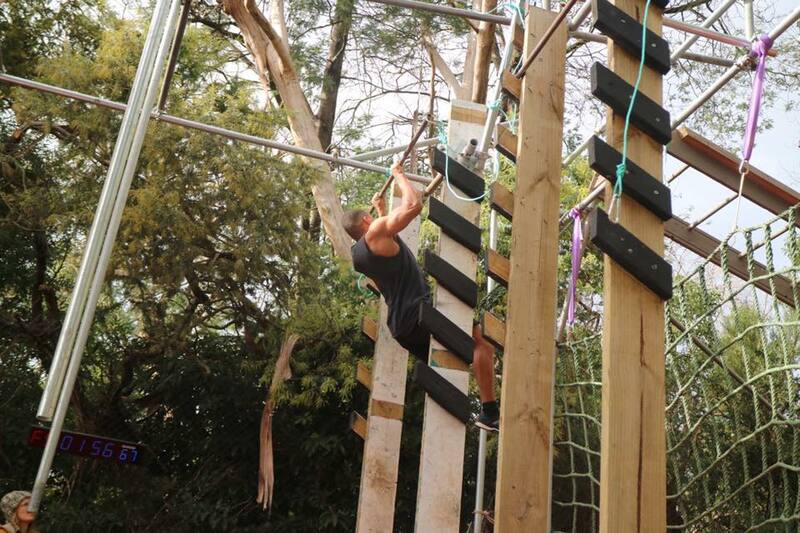 This included; using floating monkey bars as a horizontal salmon ladder, 180 spins on the bar hopper, muscle up salmon ladder up 3 rungs, pole jungle gladiator battles, running the course backwards, running the course skipping whole obstacles, backflips, handstands on slacklines and far more than I could ever even remember). If you’re ever in Victoria, even if you don’t plan on competing. Go and check out The Compound, you won’t regret it. If you keep a really close eye out you’ll even see many of these athletes on Australian Ninja Warrior in the coming weeks. Highlights from the days runs. If you liked this post/video and want to see more content like this or follow my ninja training journey find me @sheenobree on Instagram and Twitter. 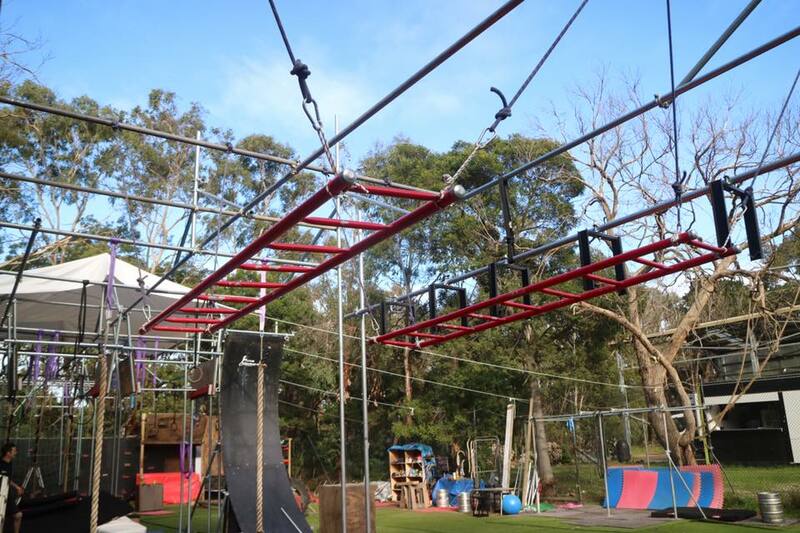 ← Australian Ninja Warrior airs Sunday July 9th! 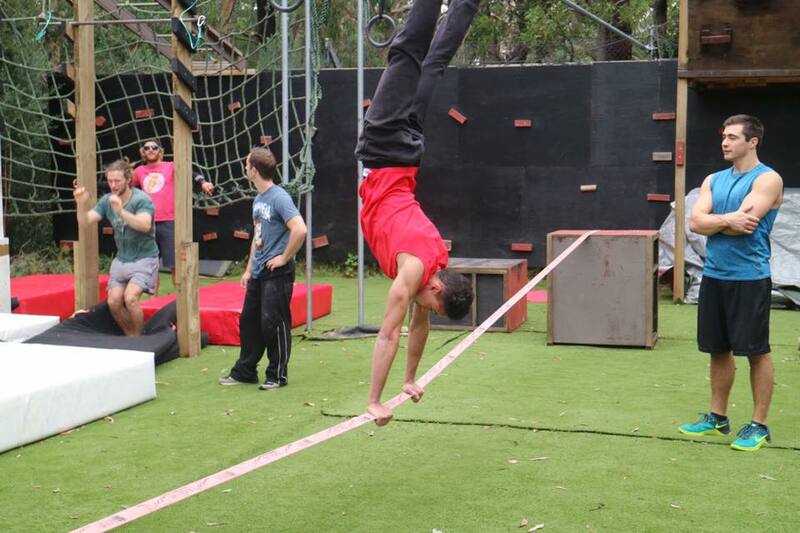 → Australian Ninja Warrior Season 2 Audition Dates?